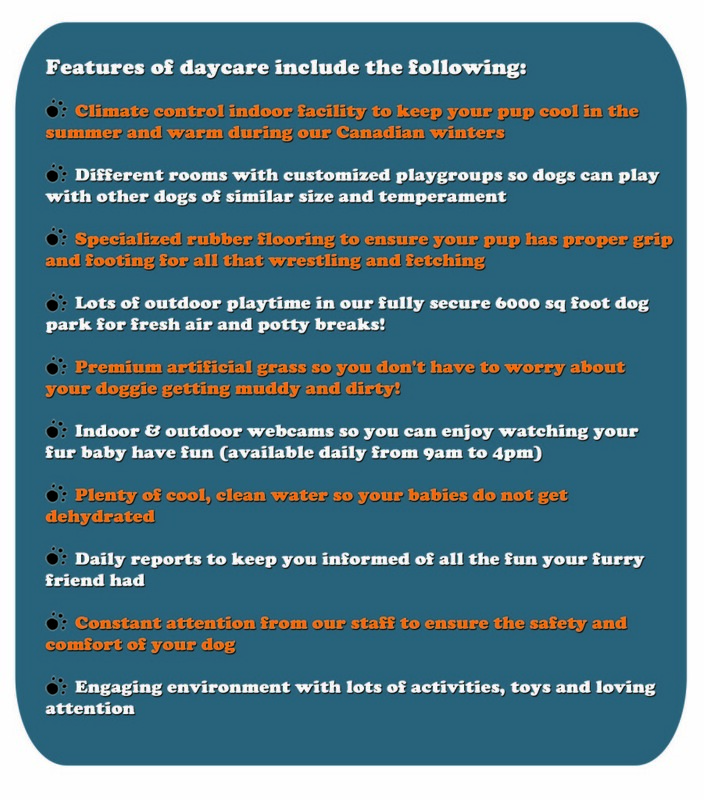 Petopia’s comprehensive daycare program offers doggie parents a peace-of-mind alternative to leaving their fur babies home alone. Our goal is to provide a safe and fun environment for your dog to interact, learn and play with other dogs under the close supervision of our trained staff. We monitor all of our canine guests and provide personalized care and attention, all while making sure that “pack” dynamics and socialization remain safe and positive. 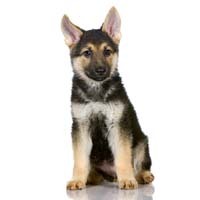 Using ‘positive’ training methods, we encourage good behavior and reinforce basic obedience throughout the entire day. At daycare, your four-legged companion will be put into selected playgroups based on a combination of playing style, temperament and size (although some small doggies think they are huge and do very well with larger friends, and vice versa!). They will get every opportunity to play and interact with other dogs in their group. Our facility is specially designed to accommodate a variety of canine personalities. Anxious or shy dogs will find the experience stress-free and comforting. Active and spirited canines will enjoy making new friends and burning off that extra energy during frequent romps in our dog park. Every day is filled with stimulation, interaction, play as well as nap and quiet time. 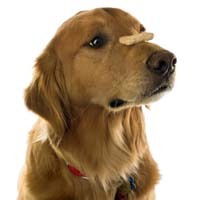 Within their playgroups, dogs can play-wrestle, fetch balls, play tug-of-war, catch bubbles, or just “hang out” and watch from a comfy bed nearby. Your furry baby will also get lots of fresh air and exercise as we have a large and fully secure outdoor play area for them to run and romp (and do their doggie business). You’ll notice the positive impact all this will have on your dog the moment your best friend is back in your arms. The key benefit of sending your dog to daycare is the physical and mental stimulation he or she gets by being with other healthy and socialized dogs in a secure and controlled environment. Proper dog socialization has been found to reduce behavioural problems and enhance the owner’s relationship with their dog. Read our article about the many Benefits of Daycare. A tired dog is a well-behaved dog….and all of our dogs leave tired but happy. 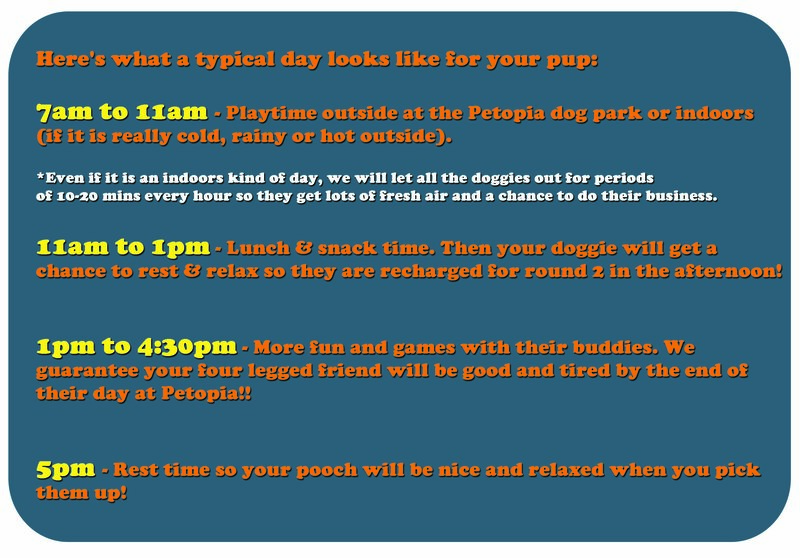 Contact us today to sign up for Petopia’s Doggie Daycare program! 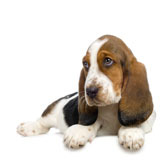 To read more articles on Doggie Daycare, please visit our Useful Info section.